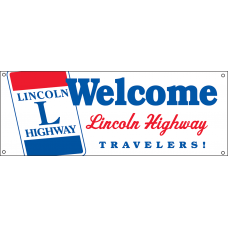 Welcome your Lincoln Highway travelers! 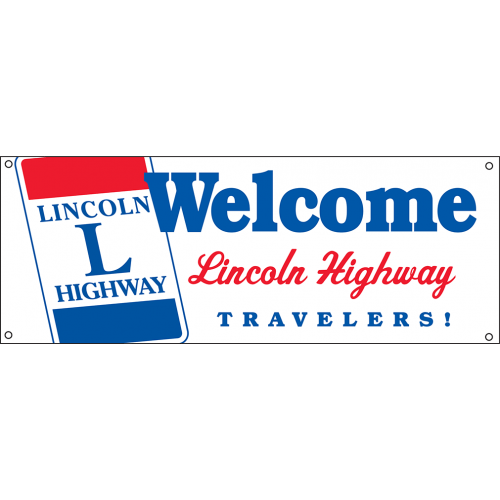 Be ready for summer travel season, and the additional tourism along the Lincoln Highway that this year’s Centennial Celebration is sure to produce! 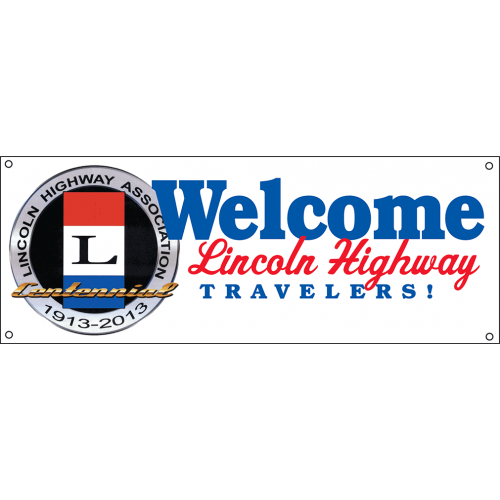 Tell everyone that your business is the place to stop to eat, sleep, shop, or find necessary travel supplies with one of these colorful banners. Select from one of our in-stock designs. All banners are 8’ wide x 3’ high, made from 13 oz. white vinyl, printed one side with grommets for hanging as you desire.